Few automotive brands promise a more impressive resume than Mercedes-Benz. An automotive icon that caters to drivers who thrive on luxury, performance and class, Mercedes-Benz provides drivers with a smorgasbord of luxurious models to choose from and the Mercedes-Benz C-Class is a highlight. 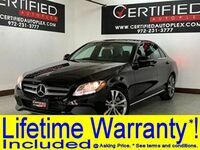 A fan favorite in the compact luxury sedan class, the C-Class platform delivers luxury-infused value. 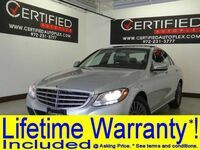 Find the perfect luxury model at the perfect price and get behind the wheel of a used Mercedes-Benz C-Class in Carrollton TX at Certified Autoplex. Affordable prices, an athletic style and potent engine options promise to make the Mercedes-Benz C-Class a welcome addition to your automotive repertoire in the Dallas-Fort Worth area. Available in family-friendly sedan and sporty coupe variants, Mercedes-Benz C-Class models can be tailored to fit your personal style. 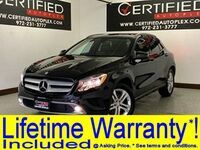 When you add affordable prices, low miles and a lifetime warranty to the equation, Certified Autoplex is the perfect place to get behind the wheel of a pre-owned luxury car! 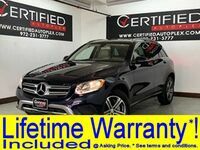 Drivers who choose a used Mercedes-Benz C-Class in Carrollton, TX will enjoy unrivaled luxury and a fun-to-drive performance at a bargain price. Mercedes-Benz C 300 models serve as the foundation of the Mercedes-Benz C-Class stable of vehicles and the current generation features a 241-horsepower 2.0-liter turbocharged four-cylinder engine that is paired with a responsive automatic transmission. Capable of impressive fuel-economy ratings and heart-pounding thrills, the Mercedes-Benz C 300 checks all the boxes. Available with Mercedes-Benz 4MATIC® All-Wheel Drive, the compact Mercedes-Benz C-Class will take performance to the next level. Additional models include track-ready Mercedes-AMG editions, diesel-powered variants and a fuel-efficient Mercedes-Benz C-Class hybrid. 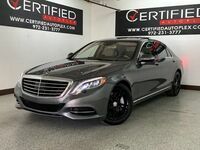 When you choose a pre-owned Mercedes-Benz C-Class model at Certified Autoplex, you will find yourself surrounded by supreme luxury and innovative technology. Premium leather interior promises comfort and class when you get behind the wheel and the COMAND® infotainment system provides drivers with one-touch access to entertainment via a vivid touchscreen display. 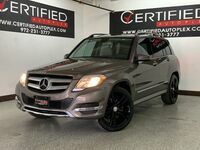 Additional highlights of used Mercedes-Benz C-Class models at the dealership include panoramic moonroofs, navigation technology, rearview cameras, KEYLESS GO®, premium sound systems, advanced safety systems and much more.